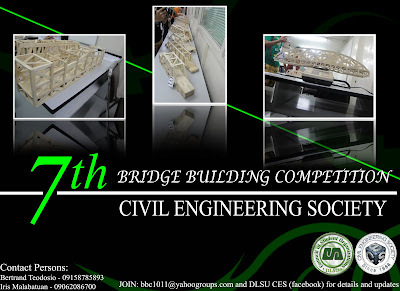 The Civil Engineering Society is holding the judging and testing of bridge entries for the 7th Bridge Building Competition this March, 19, 2011 at the DLSI-Manila CE CTM Laboratory. 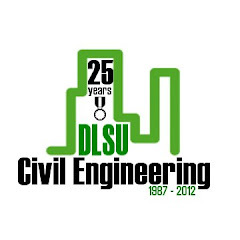 The contest is open to all undergraduate civil engineering students in the Philippines. The contest challenges students to build a truss bridge using popsicle sticks that will be laid on two smooth supports with a span length (S) of 560 mm and can carry a minimum load of 20 kg. a) The bridge must be constructed using plain popsicle sticks only. b) The popsicle sticks may be cut or sanded in any manner. c) Only all purpose glue (white) must be used to connect the popsicle sticks. d) No other materials must be used. e) Do not paint, coat or stain the bridge with any foreign substance. Category of Winners - Cash prizes will be given! 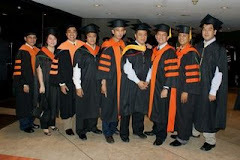 Dr. Cris Moen and Engr. 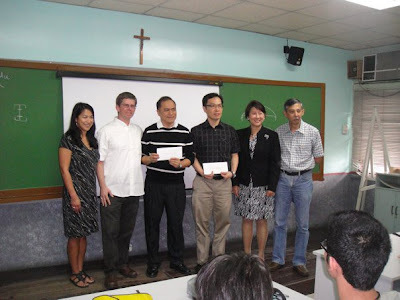 Estela Patron Moen visited DLSU - Manila last January 11, 2011 and presented a cash donation in memory of the late professor Gregorio Patron to the Civil Engineering and Mechanical Engineering Deaprtments. Dr. Greg Patron was a faculty member of the ME Department who handled a number of undergraduate civil engineering courses specifically in Methods of Research and a graduate course on Hydraulic Structures. Dr. Cristopher D. Moen, Assistant Professor of the Department of Civil and Environmental Engineering, Virginia Tech also delivered a short presentation about his university and his research. 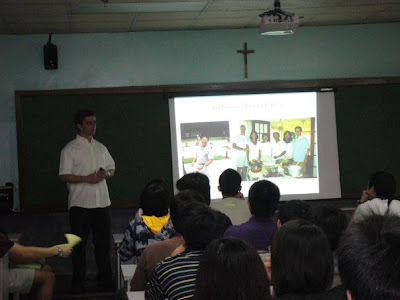 Thank you so much for visiting DLSU and for giving information about Virginia Tech. Your brief presentation of your research projects inspired our students. 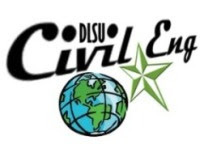 On behalf of the De La Salle University, I would like to extend oour sincere appreciation for the gift donation of US&2,000 to Civil Engineering and Mechanical Engineering Departments in memory of your late father-in-law, DR. GREG PATRON. The amount shall be added to the One LA SAlle Scholarship Fund specifically for DLSU C.E. and M.E. Engineering scholars. The Brother Chancellor, Br. Ricardo LAguda FSC will send an official acknowledgement of the gift donation and the receipt of your records. Best regards to the family, Estela and Mrs. Linda Patron.